Last week, Amazon sent out a notice that now, KDP members (indie authors) would be able to make their books available for pre-order, something that had been denied them until now. Why is this significant? In traditional publishing, rankings—making those best-seller lists—was based on sales during the first few days of a book’s release. However, publishers could take orders prior to that date, and all those sales showed up on the book’s release date, making it appear that all those books sold on that date (or week). You might still see notices from Big Name Authors with the Big Publishing Houses saying their book will debut at #X on the NYT list, even though it hasn’t been released. Well, now, Amazon has joined Kobo and iBooks in allowing indie authors to get their books into that same kind of system. And, given that Amazon rankings seem to carry the most weight, being able to have pre-orders show up as sales on the day your book goes live can give it a boost. The better the ranking, the more likely the book will show up in searches. For me, the timing couldn’t be better. I’ve got an almost-finished version of the new Blackthorne, Inc. book, Windswept Danger, and Amazon’s system, just like those of Kobo and iBooks, doesn’t require the book be in final form when you set it up for pre-order. Kobo will take a dummy file. Amazon requires that the book be "close" because they’re still going to run it through whatever quality control approval system they use. And, of course, you have to make sure that the final version is uploaded in enough time to get through the system to go live on the release date you choose. One thing I have to consider is pricing. The typical price for my e-books is $3.99. Do I set that price and stick with it, or offer it at a bargain-basement price of 99 cents while it’s on pre-order? If my goal is higher rankings, then a bargain introductory price as incentive to buyers would be better. Given the royalty rates shift from 35% to 70% at the $2.99 price point, if it’s about higher royalties, then having the 'reduced' price set at $2.99 makes sense. I’m leaning toward rankings, which would mean pricing the book at 99 cents during the pre-order phase, then moving it to its ‘regular’ price of $3.99, like the other books in the series when it goes live. How to attract readers? For big NYT Best-Selling Authors, it's easy. Tell your readers your new book is available for pre-order, and they'll grab it. But what about the rest of us? There are no free sample downloads until the book is live, so people are less likely to buy something sight unseen. For me, I'll have the first chapter on my website, just like I do for all my books. Do you pre-order books? What criteria do you use when you choose? Terry Odell is the author of numerous romantic suspense novels, mystery novels, as well as contemporary romance short stories. Most of her books are available in both print and digital formats. 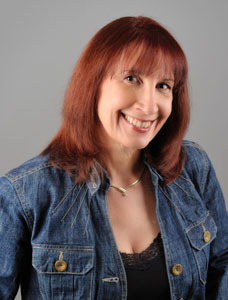 She’s the author of the Blackthorne, Inc. series, steamy romantic suspense novels featuring a team of covert ops specialists, the Pine Hills Police series, set in a small Oregon town, and the Mapleton Mystery series, featuring a reluctant police chief in a small Colorado town. To see all her books, visit her website. You can also find her at her blog, Terry's Place, as well as follow her on Twitter, or visit her Facebook page. As a reader of many years (more than I care to count!) I've discovered that books are, generally, items that can't be judged by previous examples, so I never pre-order. I wait until the book is available and has some reviews. I'm probably atypical, of course, and I understand that a lot of folk do go for things as soon as they're available. As a result, I'd certainly use this feature to sell my own books: let's face it, the 'must have it now's will be tempted by such availability and the 'wait and see's will do just that and wait anyway, so what has an author to lose? Interesting post, Terry. Thank you. Thanks, Stuart. I have about 6 authors (all major Big Names) whose books I'll pre-order. And because those books have been in the hands of reviewers, there are reviews prior to the book's release, and samples on websites, etc. Otherwise, like you, I'll wait. I've never thought about doing this with my books, possibly because I rarely pre-order. Ironically, just this morning I saw an opportunity to pre-order a cookbook by someone whose previous book I liked well enough to consider doing that. Will I actually preorder this one? Maybe. Will I make my own books available for preordering? That remains to be seen, but the idea sounds solid. You can be sure I'll be reporting back as to the success of this effort. Also, since I'm such a scatterbrain, I think being able to pre-order books from my big name favorites means I don't forget to look for them when they come out. No bookstores up here, so no reminders that the book is available. And I pre-order them as ebooks, so they just show up on my Nook when they're released. Ah, the dreaded 'reading aloud' phase. I'm waiting for my editor to return the manuscript before dealing with that. But it does catch a lot of clunkers, doesn't it. Yes, you hear what you don't see, like repetitions. Grr. I don't pre-order (because I forget too easily) but they go right on my Amazon wish list and I check it frequently for dates. I order in batches. For instance this fall, I'll have a cornucopia of delights arriving to savor. I still don't do e-books. I hope authors consider providing a print version - if you can use the templates, it's easy and free. You no longer have to pay for expanded distribution. In my mind, Amazon's services just keep getting better. I always do a print version (although my sales in print are probably 1% of my e-book sales). I don't think CreateSpace has a pre-order option. Yet. And, for the record, Kobo and iBooks offered these pre-order options for indie authors well before Amazon jumped in. Kobo has a much more author-friendly price control panel as well. And you can drop a book to free any time with no strings, should you like that marketing ploy. Ooh! What a great strategy idea: pricing a book at 99 cents for the pre-order period. I might have to try that one. I'm so glad Amazon is finally offering this option. I hope it helps indie authors compete more with trads. I hope so too, Merry! I'm about to self publish my first novel and I'm a wee bit apprehensive, so this is good news! Good luck with your release, Britni, and congratulations! I preorder but only from a few of my favorite writers. I read so many books on my kindle that the norm is to read the free pages and then decide. I find the reviews less helpful than my own reading of a few pages. If I like the free pages I buy. On the other hand for .99 cents, if the blurb is good I might take a chance. Thanks, Neil - I'm with you on pre-ordering from favorite authors. And for the sample reading - that's why I will get the first chapter on my website when I put the book up for pre-order. And why I'll price it at 99 cents. I know I'm a gamble for so many readers, so I'd like to give them enough information and enticement to pre-order the book. My publisher put the new version of my YA novel, Friends Forever on Kindle for pre-order, but did not offer a lower price. I really think some incentive to order early would be the way to go. It just makes sense to do that, otherwise there would be no good reason not to wait until the book is released. I seldom pre-order unless I can get some kind of price break for doing so. I suppose one's budget might also come into play--if you have money for books NOW and want to make sure you don't miss the release, pre-ordering can make sense. But I'm with you on incentives, especially for the 'little guy' who hasn't had the chance to accumulate sales for that big "debut" day prior to this.